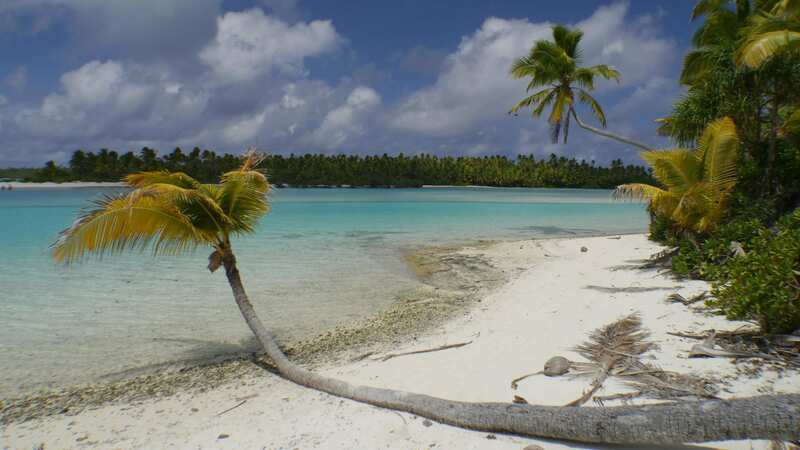 As I research on Aitutaki island, 45min from Rarotonga, in the Cook Islands one part of the Lagoon keeps coming up as the most famous and well-known, a must: One Foot Island. 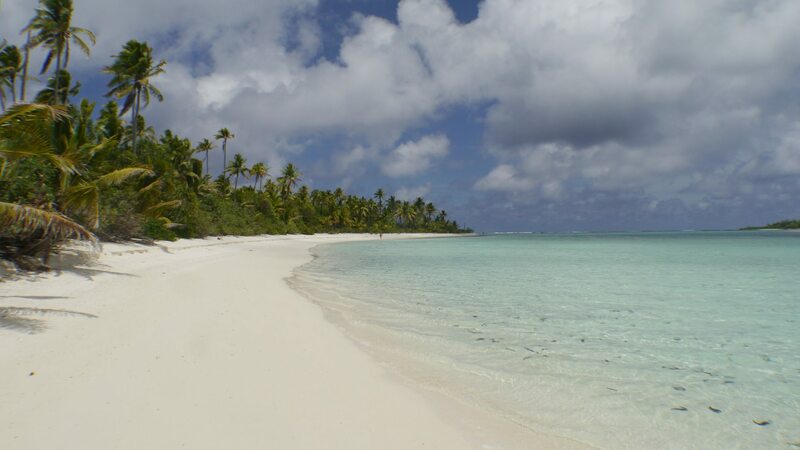 After Rarotonga’s rainy week and unexpectedly unimpressive beaches (granted I was coming from Bora Bora so it was virtually impossible to top the experience) Aitutaki was a breath-taking few days. A tiny island surrounded by a reef Aitutaki Lagoon is one of the most picturesque and most postcard perfect places I have ever seen. There is something about the color of the lagoon, the shades of blue ranging from navy deep ocean to turquoise ending in the clearest of waters that made it one of the most photo taking prolific days of my travelling life. There goes a palm tree, another coconut fringed shore, an incredibly stunning beach and some more romantic sandbanks. You name it. 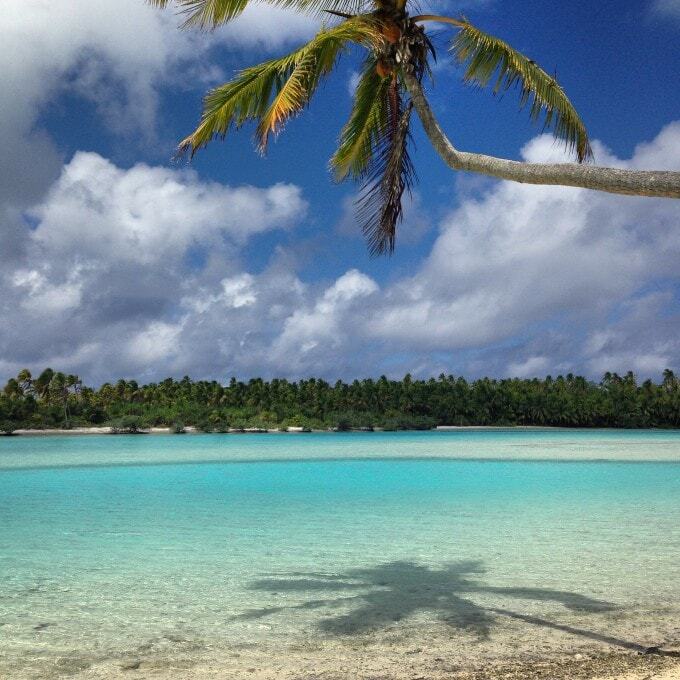 Try to imagine the most perfect island and Aitutaki Lagoon is filled with them. After cruising around for almost a day I had seen so many stunning tropical paradises that I just could not take anymore. Then along came One Foot Island. 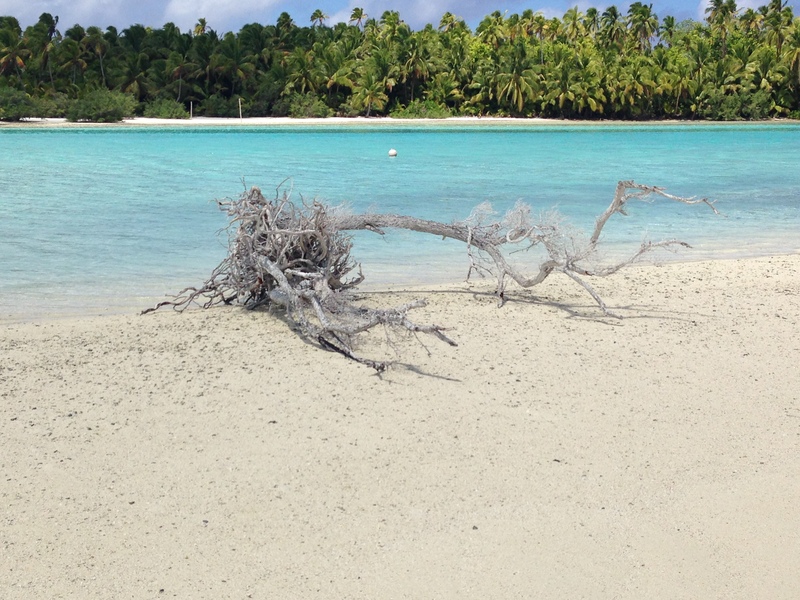 It is said that in ancient times, a Maori Chief decided that the marine life of Aitutaki Lagoon has to be preserved for future generations and so he banned fishing inside its calm waters. Desperate to feed his family, a poor fisherman set out to fish just enough to tame their hungry stomachs with his son. Out on the lagoon, the Maori warriors spotted something they did not expect, a tiny dot of a canoe in the water. Angry, they rushed to the lagoon to catch the perpetrator. As he saw the Maori canoes approaching the father ushered his son to an island and asked him to run into the jungle and hide up a pandan tree. After his son left he followed in his footsteps and made sure only to leave one set of footsteps. When the Maori Warriors arrived they followed the marks on the beach and found the fisherman who met his death on the island. Because there was only one set of footprints hey thought there was only one person on the canoe and so they left. Once they were gone the son came down from the tree and found his father dead. The legend has been taught and re-taught over the years and it seems that there are various interpretations as to what happens next. Some say he took the father back to land, others that his body got lost in the lagoon. Aside from the legend One Foot Island is an incredibly beautiful place. 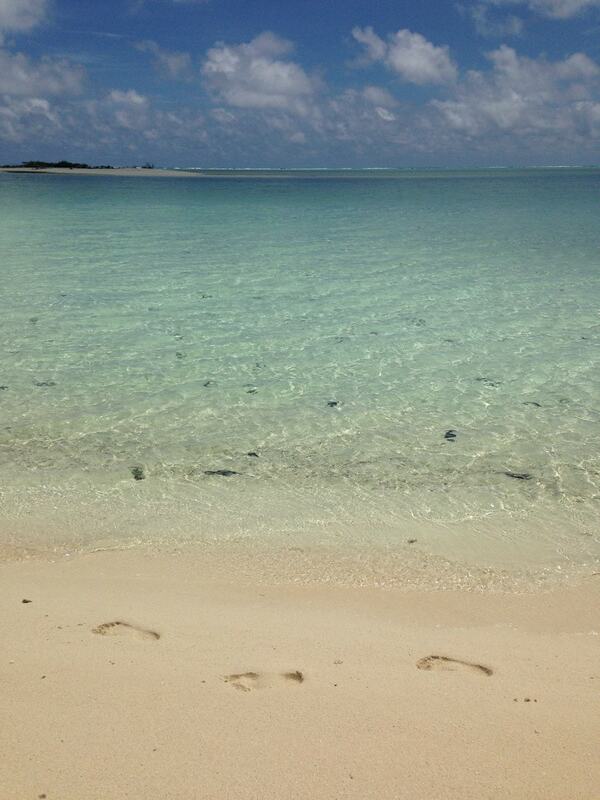 The beach is a beautiful white powder sand with broken corals littering the shore and providing a very real image. The water gently laps against shore as most of the island is protected by a large sandbank that is connected to the main island on low tide. Most of the cruise companies taking visitors around the lagoon stop at One Foot Island but even if there are a handful of tourists, the back end of the island is completely deserted. I sit down to watch the sea and the incredibly clear water. 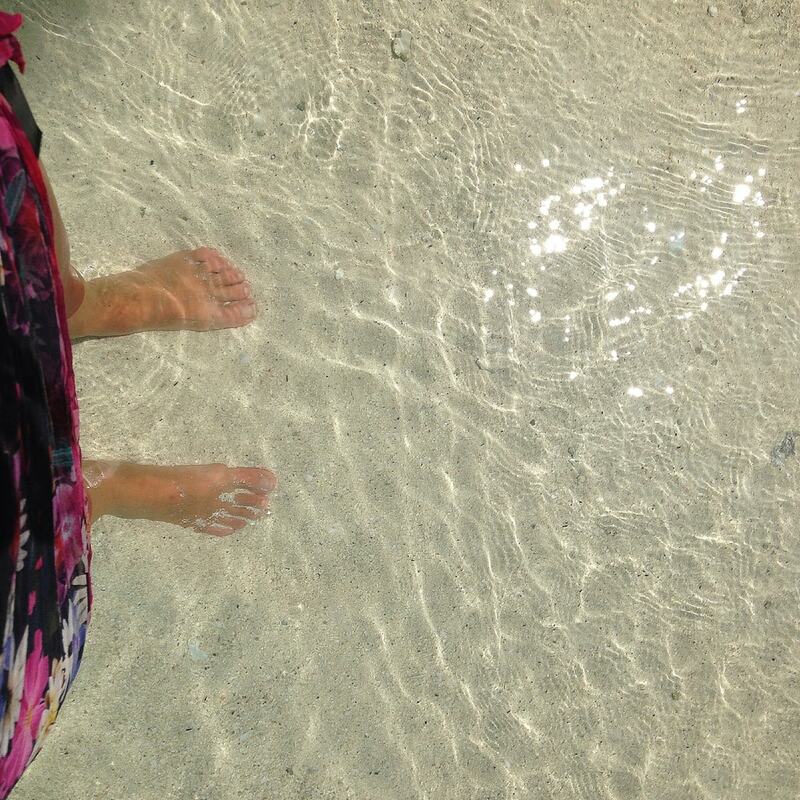 Standing with the waves just under my knee I can clearly see my feet and the sand grains at the bottom of the beach. There is peace and harmony in the wind swinging the palm trees and a sense of magic floating in the air. This place is idyllic and the sensation of the warm water crashing against my toes is as close to perfection as I could imagine. I spend a good half hour there and I do not see another soul. For a while, I feel like I have been stranded on a Pacific island with nothing else to eat but coconuts. Despite the slight “noise” coming from the other end of the island from the few tourists that made it to the island today there is utter serenity and I can’t help but to feel privileged for being one of very few people ever making it to this end of the world. The only statistics that I could find mentioned around 10,000 visitors making it possibly the second least visited country I have ever been to after American Samoa. 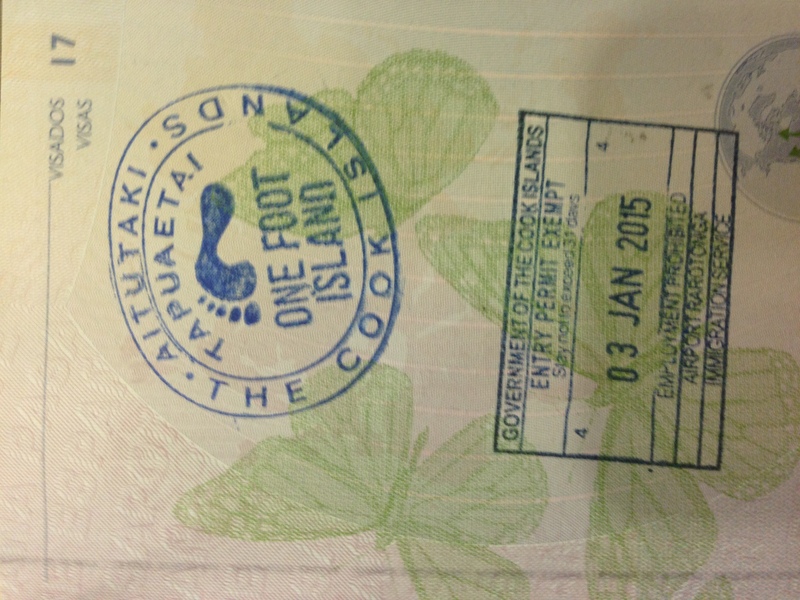 Most of the visitors come from New Zealand, which the Cook Islands belongs to. One Foot Island is so beautiful that I can’t describe it so I will leave you with the legend and the photos.